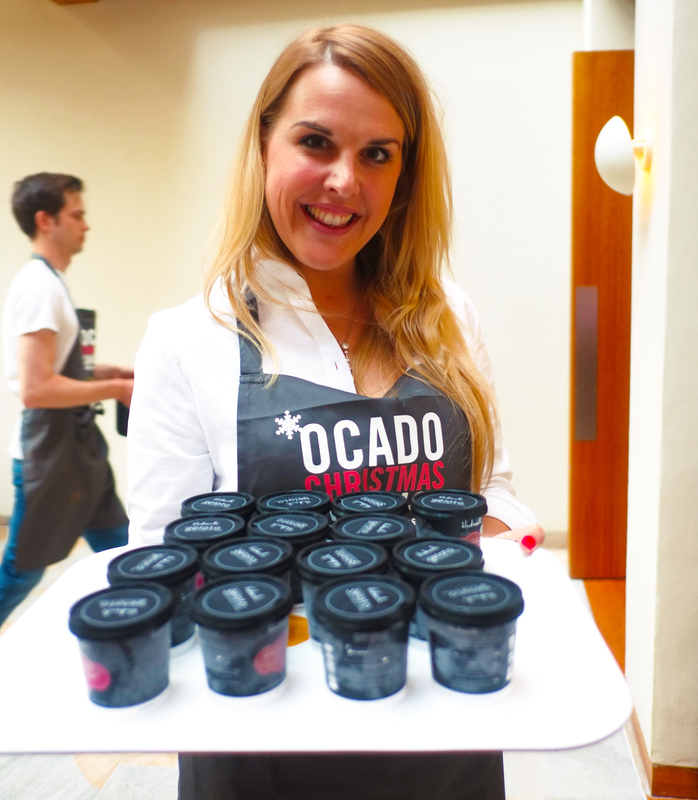 That’s right – it’s time for another Ocado fan freebie. 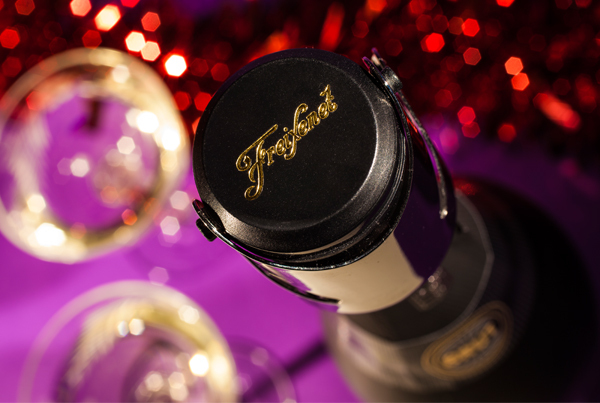 We’ve got 3,000 cava stoppers to give away from the generous folks at Freixenet. These ingenious little devices are designed to keep the fizz in properly. So, add one to your next shop, check out using the voucher code below, and sparkle all season. 2. Add one Freixenet cava stopper to your order and add the voucher code VOU5088713 as you check out (cannot be used with any other voucher). 3. We’ll deduct the cost of the product for the first 3,000 people to enter this code and check out for deliveries between 12/12/2013 and the last available delivery slot on Sunday 29/12/2013. The 28th marks Thanksgiving, and we know how much you love our American products! Everything from American beers to store cupboard essentials are firm favourites in Ocado trolleys. 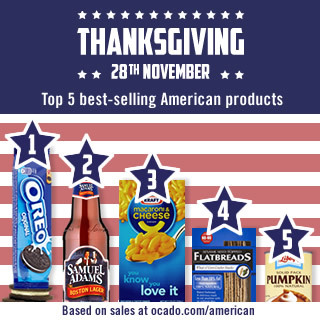 So, as we’re in the mood to say a big old #OcadoThanks to our fans, I’ve put together five goodie bags filled with treats from the Ocado American range. To enter, check out our Thanksgiving event – you’ll find everything you need to whip up an all-American feast, right down to the turkey – then tweet us a link to the product you love most. We’ll announce the winner here on the blog and on Twitter on Thursday. Best of luck! • This prize draw is open to Twitter account holders who have posted a Tweet in accordance with this prize draw and have an ocado.com account. Anyone directly connected with the planning or administration of this prize draw or who does not have an ocado.com account will not be eligible to win a prize. • Prize Details: There are five prizes of one ocado.com delivery containing items from the ocado.com Thanksgiving range to the value of £50. The delivery will be made at a date and time agreed in advance. • The closing date and time for entries into the prize draw is 23.59 on 27/11/2013. Entries placed after this date and time will not be included in the prize draw. • The winner will be selected at random from all Tweets shared including a link to a product from the Thanksgiving event at ocado.com and the hashtag #OcadoThanks on Twitter on 28/11/2013. • The winner will be contacted via DM within 5 days of the draw and will be given full details of how to redeem their prize. If the winner cannot be contacted or does not respond within 14 days, or cannot take up the prize, then Ocado reserves the right to select another winner. • The promoter of this prize draw is Ocado Limited, AL10 9NE. 13/11/2013 16.09 UPDATE – THIS OFFER HAS NOW EXPIRED – THE REDEMPTION LIMIT OF 300 HAS BEEN REACHED. THANK YOU FOR PARTICIPATING. Thanksgiving is just around the corner. This American tradition centres around families and friends eating a meal together to express gratitude for the blessings of the year (originally it was to give thanks for the harvest). Anyway, I’m certainly in favour of any excuse to spend time with loved ones over dinner! The Ocado Thanksgiving event is filled with offers on American treats to help you plan a Thanksgiving celebration, but our friends at Beringer have also kindly offered 300 bottles of their Classic Cabernet Sauvignon to give us all something else to be thankful for. 2. 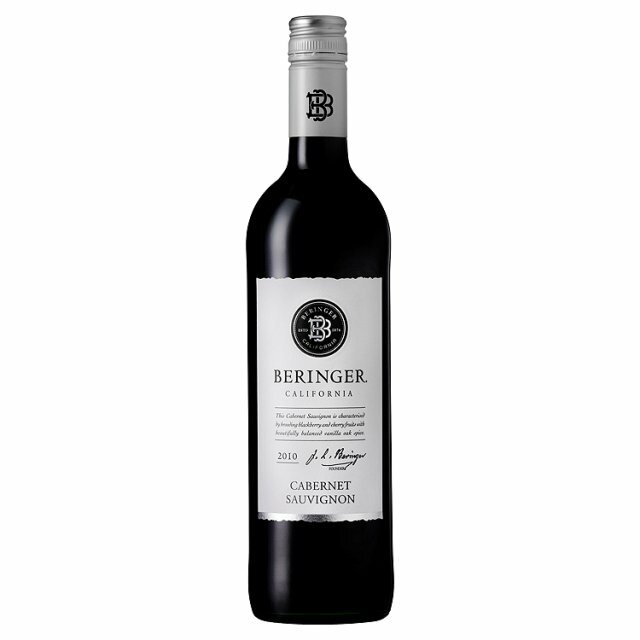 Add one bottle of Beringer Classic Cabernet Sauvignon to your order and enter the voucher code VOU7655472 as you check out (cannot be used with any other voucher). This Halloween we want to see your creepiest carvings – let your imagination run riot! All you have to do is grab a pumpkin, carve a devilish design, then send your snaps to competitions@ocado.com adding ‘pumpkin carving’ as the subject line. I’ve attached some templates you could use, and typed out my beginners’ tips, below. We’re looking for skill and creativity, and we’d love to see pics of the creative process too. We’ll be uploading them to Facebook, and our favourite wins a £50 Ocado voucher. Entries must be in by 4th November, and we’ll contact the winner within five days. Find pumpkins and carving kits in our Halloween Shop. Think big – A larger pumpkin will be easier to carve, and give you enough room to correct the odd mistake. Also, make sure the pumpkin is as fresh as possible – it’s easier and lasts longer. Fire in the hole! 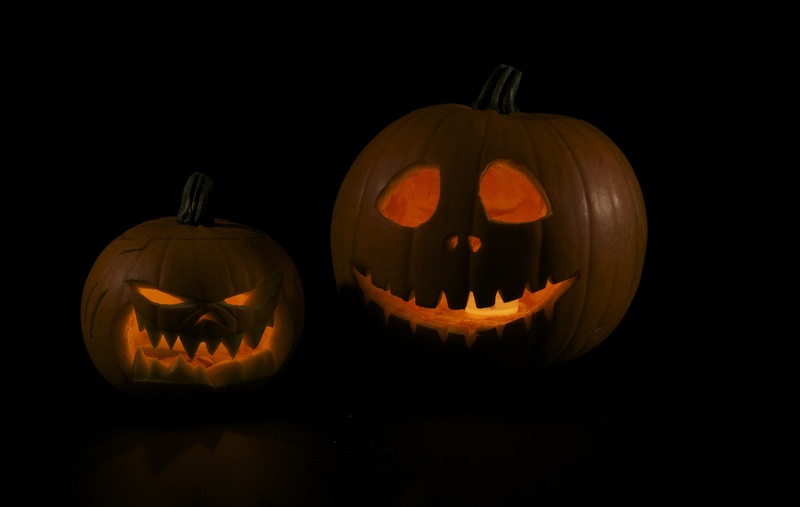 – Generally, the first step is to cut a lid in the top of the pumpkin, then hollow it out. If you’re illuminating the pumpkin with a candle, put the candle in a high sided glass and don’t leave it unattended when lit. Simply the best – If this is your first pumpkin carving, don’t make it too complicated; practise with a simple, bold design. Tape one of our templates to the pumpkin then poke along the lines. Think outside the box – It’s not just about carving. You can shave parts of the pumpkin to create a two-tone effect, screw in nuts and bolts, even add splashes of paint. It’s up to you. Preservation society – rubbing Vaseline or vegetable oil into the flesh of the pumpkin will help it last as long as possible. It will also make it flammable, so be careful! • This competition is open to all UK residents aged 18 or over (except for anyone directly connected with the planning or administration of this competition). • Prize Details: There is one prize of a £50 Ocado voucher. • The closing date and time for entries into the Halloween Pumpkin Competition is 23.59 on 4th November. Entries sent after this date and time will not be included in the prize draw. • The winner will be chosen based on the level of creativity and skill shown, as judged by our marketing team, in the week commencing 04/11/2013. Do not enter into correspondence with the judges and the judge’s decision is final. • The winner of the prize will be contacted within 5 days of the draw and will be given full details of how to redeem their prize. If the winner cannot be contacted or does not respond within 14 days of the initial notification, or cannot take up the prize, then we reserve the right to select another winner. • We reserve the right to substitute the prize with another prize of equal or greater value or to terminate, amend, extend or shorten the promotional period at any time and without notice. • We have organised this competition in good faith but cannot accept any liability relating to the prize draw or the prize offered. • Winners may be required to take part in marketing events. • The promoter of this competition is Ocado Limited. For details of the winner’s name and county please send a SAE to the Marketing Department, Ocado Limited, Titan Court, 3 Bishops Square, Hatfield Business Park, Hatfield, Hertfordshire AL10 9NE.